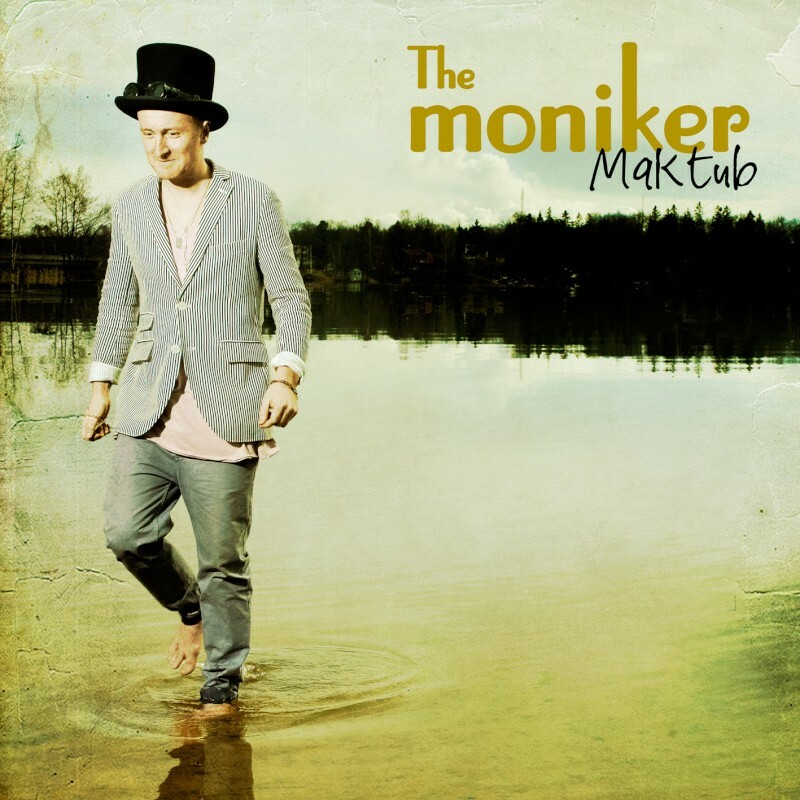 Swedish Stereo: The Moniker gets ready for "Maktub"
Already next month new sensation The Moniker who has conquered Sweden with pure joy of his single "Oh My God!" on Melodifestivalen will release his debut album "Maktub". Cover of the album is already delivered by Rikard Engfors who was responsible for LED-video for The Moniker's performance and presented to audience. And though there's no sign of tracklist yet (and hope we shouldn't wait till May 15th when album will get released) The Moniker already visits different TV-shows to present tracks which are planned to be included into new album. Here is example of such acoustic performance in Efter Tio with "Oh My God!" and "Time of your life". TV4 definitely loves and supports its successfull ex-Idols and in one of the latest Körslaget episodes "Oh My God!" was sung by choir of Casper Janebrink. i really do quite like the moniker, so am quite eager for this album. Is it cold in Sweden at the moment? He must be quite warm under the studio lights in his woolly top! !